There’s nothing better than finding vintage (or looks-like-vintage) fabric at an op-shop! 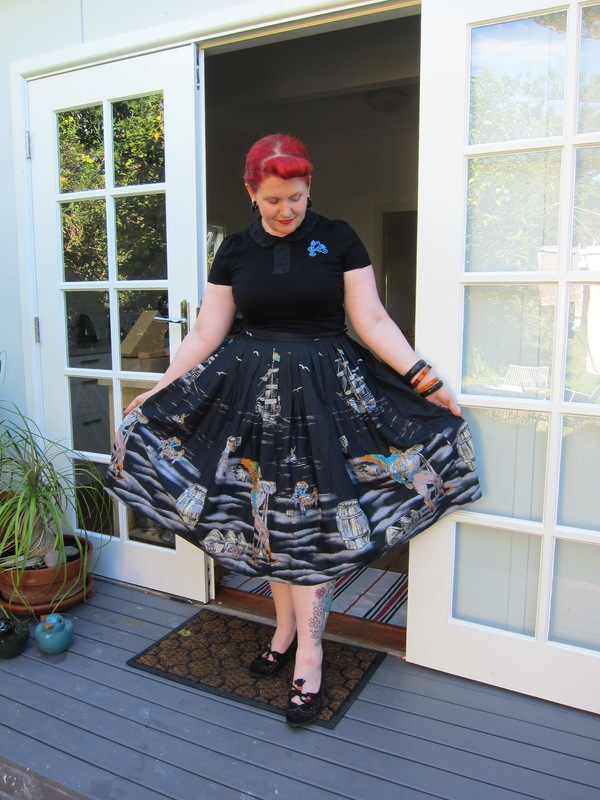 This pirate border print begged to be turned into a 1950s dirndl skirt (basic dirndl instructions are on my blog here). It’s a beauty, a 5 meter length with pirates, parrots, ships and treasure. Arn’t dirndl’s just the most easiest skirts to sew? I’m about to teach a sewing classs and am getting everyone to sew a one. Amazing!! And yes everyone should have at least one dirndl skirt. Teach them ladies!!! Good choice for a first project. 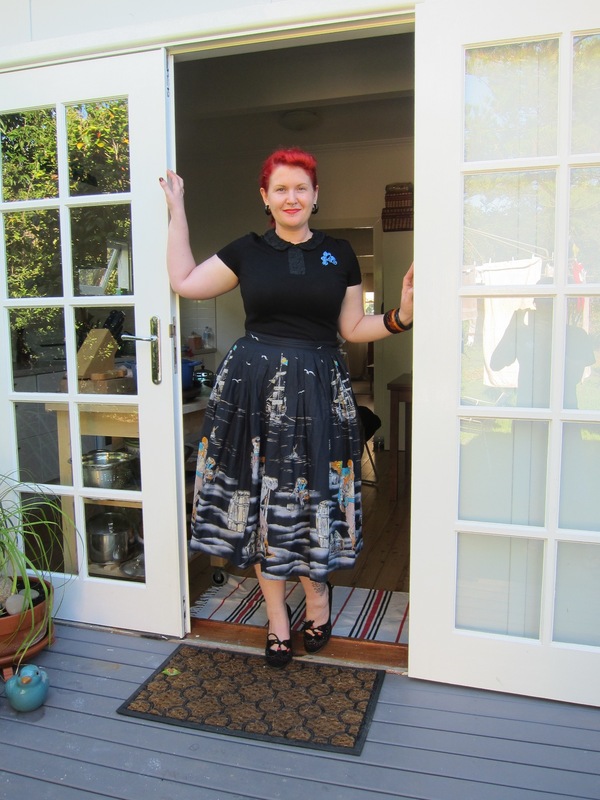 dirndl skirts are my fave to sew…although I pleat rather than gather. Nothing like crisp pleats. That is hilarious, and somehow you manage to pull it off as not as costumey as I would have thought if I were just looking at the bolt of fabric. You wear it well!